Having problems with readsy? Have a question? You are in the right place! Scroll down for a list of frequently asked questions. If you don't see an answer to your question, contact us! How do I install data files on Android? Using a computer, download a data file that is identified as "for installation via copy to Dropbox"
Why does readsy need access to my Dropbox? readsy stores data in Dropbox so that you can access it from any number of computers and devices. readsy will only have access to one directory in your Dropbox. 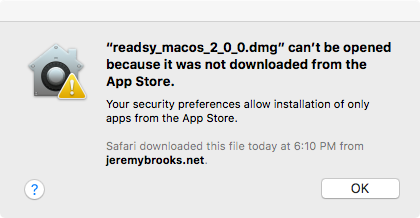 readsy cannot access any information outside of that directory. I downloaded the Mac version, but it cannot be opened. Recent versions of MacOS may not open applications that were not downloaded from the App Store. You can tell MacOS to allow the application by going to System Preferences -> Security & Privacy and selecting "App Store and identified developers" radio button. Once this is done, you can run readsy. The first time you launch readsy, MacOS will ask you if you want to open the application. Say yes, and you will not be prompted again. 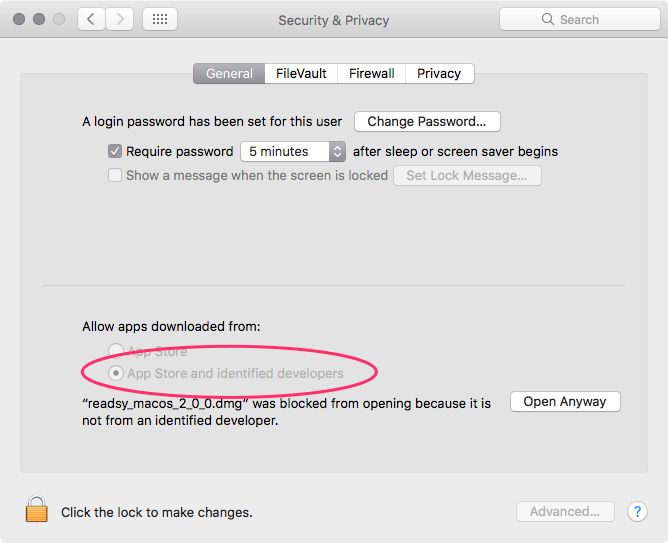 After installing and running readsy, you can change the security setting back to "App Store" if you wish. readsy is not affiliated with or otherwise sponsored by Dropbox, Inc.